For the twelfth consecutive year, our fall Northern Italy Tour will focus on the thrilling Parma Verdi Festival, which is committed to a complete survey of the Verdi canon. This year’s return to Parma will be highlighted by FOUR VERDI PERFORMANCES – an welcome Verdian plethora compared to the recent experience of only two or three operas each year. In terms of chronology, we will begin with the rarely staged early comedy Un Giorno di Regno (1840), which will take us to the intimate Teatro Giuseppe Verdi in the composer’s hometown of Busseto. Second will be the lyric drama Attila (1846), which will be staged in Parma’s Teatro Regio; followed by Macbeth (1847, revised in 1865), also in the Teatro Regio. The fourth production will be Le Trouvère (1857), the French version of ‘Il Trovatore’ adapted for the Paris Opera, which will take us into Parma’s unique Teatro Farnese upstairs in the Palazzo della Pilotta. All four will be presented in refreshing new productions, and the predominantly Italian casts feature some of today’s finest Verdi singers – Anna Pirozzi, Luca Salsi, Maria José Siri, Stefano Secco, Franco Vassallo, Michele Pertussi, Vladimir Stoyanov, Franceco Demuro, Roberta Mantegna, Riccardo Zanellato. Parma’s friendly cafés and restaurants all serve the world-famous ‘prosciutto di Parma’ and ‘Parmigiano Reggiano cheese’. 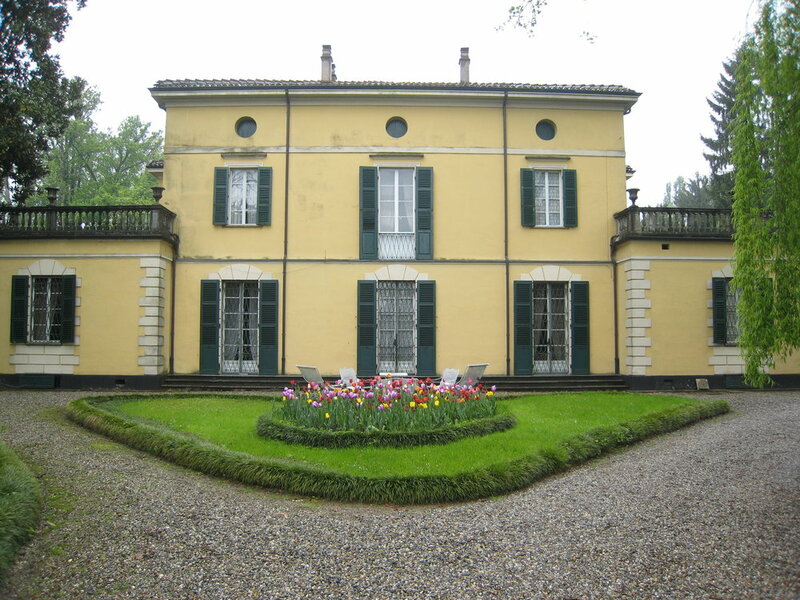 In honor of Italy’s undisputed operatic giant, a visit is planned to Verdi’s gracious home of Villa Sant’Agata in his hometown of Busseto. We are fortunate to have confirmed reservations for five nights at everyone’s first choice in Parma, the Stendhal Hotel. Immediately after Parma, we will continue to the Adriatic capital of Venice for three nights to relax in Italy’s most dazzling architectural city. Our Verdi immersion will culminate with a fifth performance – his ‘middle period’ masterwork La Traviata, a highlight of the new season in the exquisite Teatro La Fenice. For a change of pace, we will enjoy Rossini’s popular ‘bel canto’ comedy Il Barbiere di Siviglia in the intimate setting of the Palazzo Barbarigo-Minotto overlooking the Grand Canal. Our accommodations in Venice will be at the Bonvecchiati a short walk from San Marco. The weather in October should be ideal for leisurely walks in each city center. Our itinerary of eight nights will leave ample time for you to enjoy the ubiquitous art and irresistible food of Parma and Venice. Accommodations for five nights with buffet breakfast included at Parma’s four-star Stendhal Hotel, named for the city’s illustrious classical author. Because of its location within easy walking distance of the Teatro Regio, the Teatro Farnese, the Piazza Duomo and the Palazzo della Pilotta (now home to several museums), the relatively small Stendhal is always our first choice when we visit Parma. The 62 rooms are classically furnished, and the restaurant La Pilotta offers an excellent breakfast. The historic center of Parma offers many small shops and attractive trattorias for relaxed browsing and dining. We are fortunate to have secured our reservations during the sought-after Festival period, as there are only a few hotels near the historic center. IMPORTANT: The Verdi Festival is notoriously sold out to subscribers and Parma’s local aficionados. While we are very fortunate to obtain tickets in the Festival’s venues, some of our tickets may be in side boxes and/or upper tiers. In Venice, accommodations are for three nights with buffet breakfast included at the four-star Bonvecchiati Hotel. This four-star property is centrally located in the Calle Goldoni, a few minutes walk from the Piazza San Marco and the Rialto Bridge, and within comfortable walking distance of La Fenice opera house. The traditional Venetian rooms are in a historic palazzo which is well-known for its Terrace Restaurant serving excellent Italian menus with a wide variety of local wines. Our rooms are confirmed in the hotel’s upgraded deluxe category. Our former travelers have been impressed by the friendly personal service of the front desk.